We actually use the distances between really far apart things in the universe and make a "triangle" just like they were talking about on the surface of the Earth. The math is pretty complicated, but you might enjoy A Universe from Nothing by Lawrence Krauss. It has a pretty good in depth but mostly understandable by mere mortals explanation of how these things are measured and determined. A Universe From Nothing , The Greatest Show on Earth . The whole Universe... came from nothing . 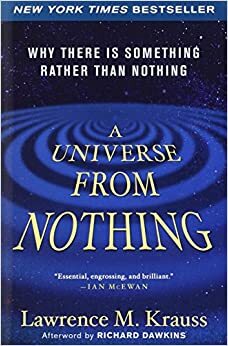 Krauss presents a compelling case, relating it to things we know are happening all the time, virtual particles forming and disappearing again, and there's always the theory which looks pretty good so far, that the total energy of the Universe is zero. Where'd it all come from? a quantum mechanical anomaly, random chance, an accident of something that shouldn't have happened, but did anyway - which is why we're here to see it, but if it hadn't, we wouldn't be. What started it? Nothing, it came from nothing, before it was nothing, really nothing, no time, no space, no matter, no energy, no anything.